Cap-Haitian ranks as the second most populated Haitian city next to Port-au-Prince, numbering 190,000 residents. A coastal city grazing the North Coast, it is the nexus of a thriving farming community. Its biggest exports include tropical fruits, sugar, and premium coffee beans. 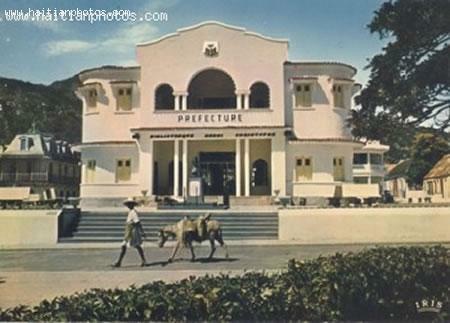 Cap-Haitian was colonized in the 1700s by the French, who turned it into the wealthiest center in the Caribbean region. The French sense of baroque beauty transformed the city into "The Paris of the West". Henri Christophe, one of Haiti's earliest rulers, made Cap-Haitien the original capital of North Haiti. Eponymously, he named it Cap Henry. Cap-Haitian baroque architecture has retained its bold curvatures and intricate ornamental appeal over 300 years. Its ancient, antique, and distressed structures create a world of lost gentility and courtly manners. Powdered wigs, delicate pinches of snuff, and overflowing cleavage describes a by-gone society, both sensuous and of a proscribed decorum. Its coastal waters are serene and its beaches exotic and inviting. Labadee, its most popular beach, is an island of serenity, far from chaotic Port-au-Prince. Run by Royal Caribbean Cruise Line, it attracts more tourism than any other area on the island. Among its historical monuments, the Citadelle Laferriere, is considered the eighth architectural wonder of the world. Cap-Haitian is a living piece of history, having survived an almost complete collapse during the 1842 earthquake. The city is a must-see on anyone's travel agenda, gaining in mystery and stature as time passes.